I'm quite fussy about my haircare so I personally don't quite understand the idea of giving haircare gifts unless they've been specifically requested. However, there's plenty out there so someone must be buying them and for this reason, I've decided to round up three top picks today. 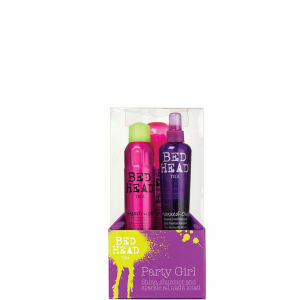 For teens and party girls, check out Tigi Bedhead Party Girl Gift Set which contains three items to create party ready styles. 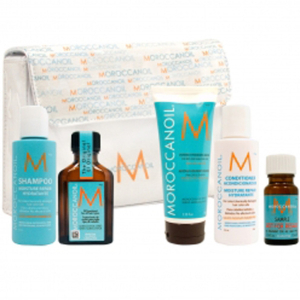 Moroccanoil has been one of the big hair success stories of recent years and although I don't personally find that it suits my hair, plenty of people swear by it. I am, however, a big fan of Bumble & Bumble. 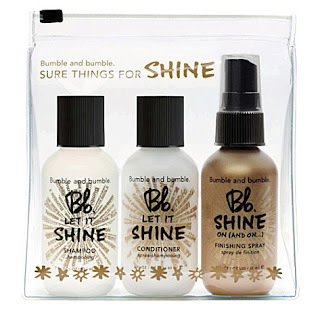 I was disappointed earlier this year to discover that they had discontinued one of my favourite products, Bb Shine Spray but the range they released to replace it hasn't let me down.